Clean Car Fax w/ zero accidents. Features a reliable 5.9L Cummins Diesel with automatic transmission and 4WD. 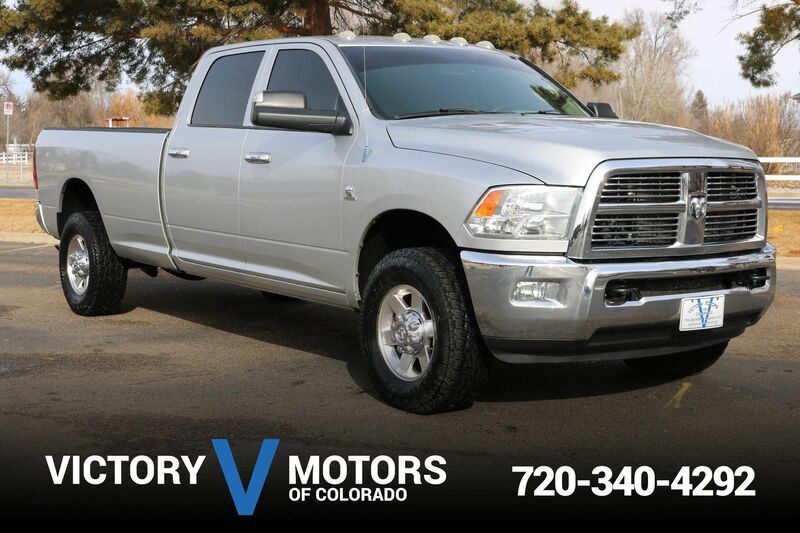 The exterior is Silver Metallic with chrome wheels, fresh tires and tow package. The interior includes charcoal cloth, AC, CD, power windows/locks, trailer brake controller, folding rear seat and more. 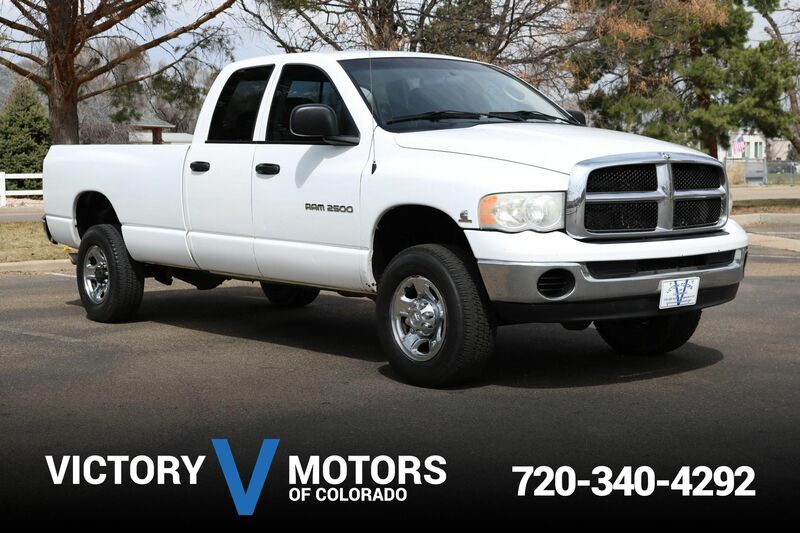 Copyright © 2017 Victory Motors of Colorado.